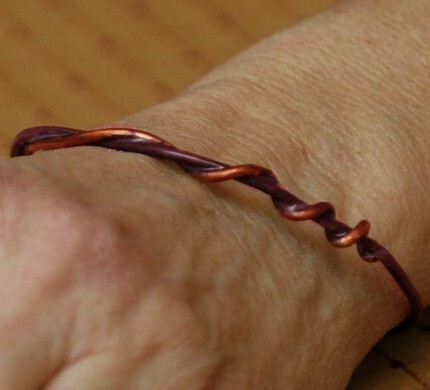 >This is a skinny- yet loverly -bracelet fit for a bohemian gentlewoman. I love it when I put it on with the saffron Berries bracelet, or Candied Fig bracelet set. 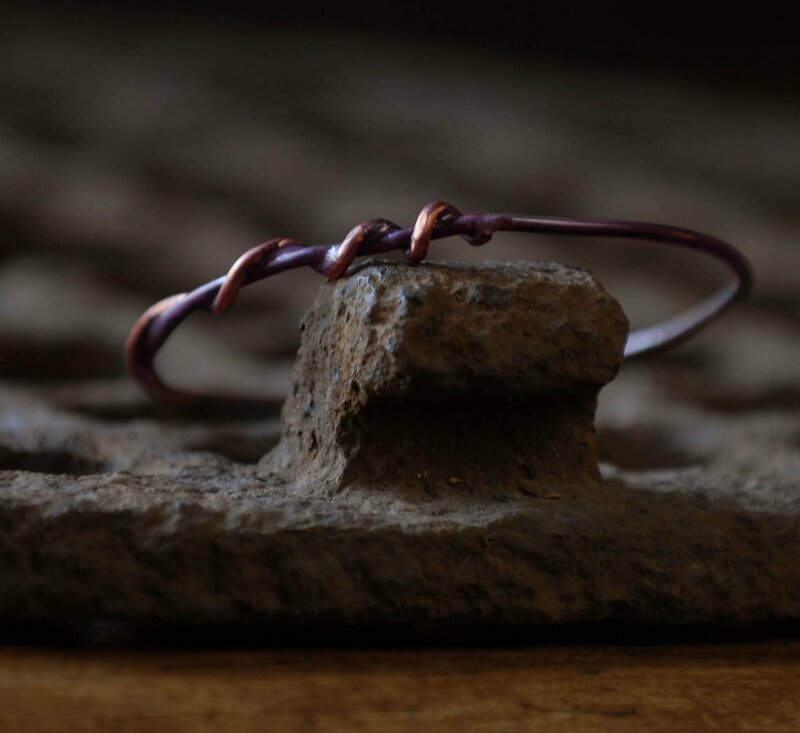 The enamel color is a soft orchid purple and the “vine” is left as brushed copper.